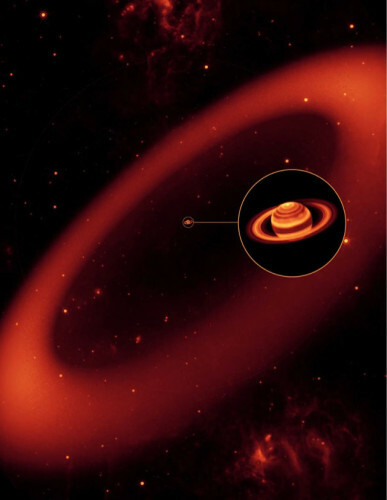 An article published in the journal “Nature” describes a research that has revealed the size of the outer ring of the planet Saturn. It’s called Phoebe ring because it’s believed to have been created by dust particles coming from Phoebe, one of Saturn’s moons, as a result of impacts that projected them into space. This ring was discovered in 2009 and immediately its enormous size was noted. 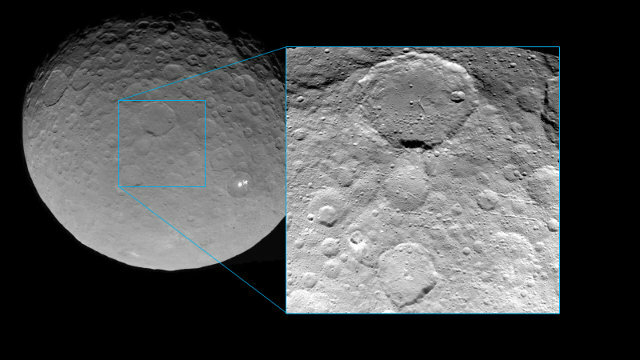 This new research using infrared images obtained from NASA’s WISE space telescope shows that it’s even larger than previously thought. 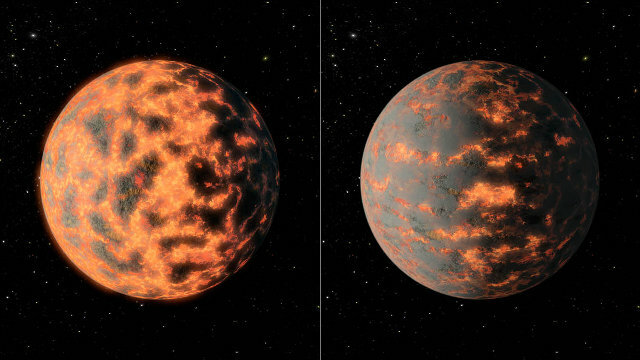 An article published in the journal “Monthly Notices of the Royal Astronomical Society” describes a study of the exoplanet 55 Cancri e. It claims that on its surface there’s and extremely violent volcanic activity. The consequence is that the temperature is not only very high but has swings ranging from 1,000° to 2,700° Celsius (from 1800° to 4900° Fahrenheit). Among the authors of the article there’s Dr. Nikku Madhusudhan of British Institute of Astronomy of the British University of Cambridge, who has been studying 55 Cancri e for some time and has already published a study in which he argues that this exoplanet may contain a diamond large three times the Earth. 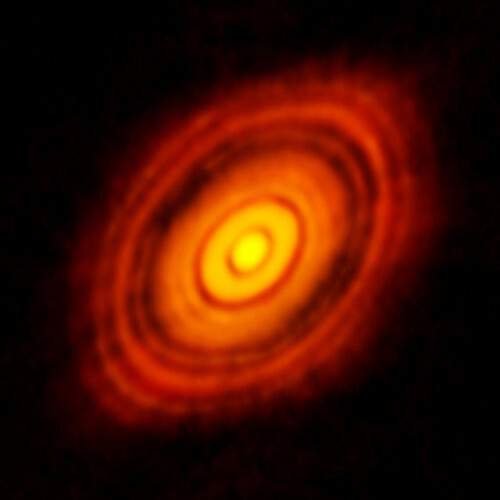 Last October a picture of the system HL Tauri captured by ESO’s ALMA (Atacama Large Millimeter / submillimeter Array) telescope was published. It showed a disk of dust that is slowly coalescing and was one of the sharpest images ever made at sumbillimetric wavelengths. 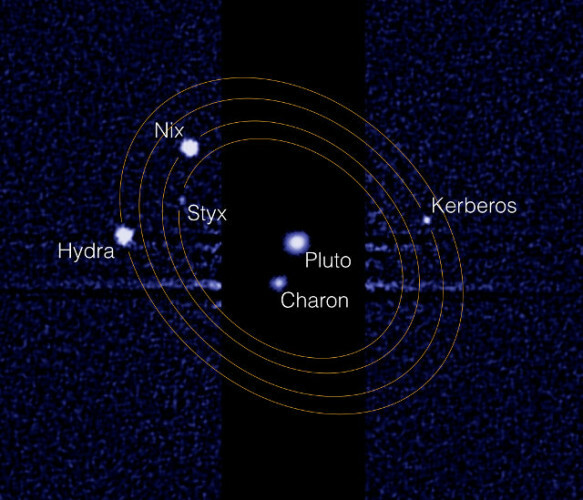 According to many scientists there are planets that are forming in the system but others were skeptical and that created a debate. Now a team of astrophysicists from the University of Toronto led by Daniel Tamayo brought new evidence that there really are planets forming, published in the journal “Astrophysical Journal”.